All Military and First Responders Appreciation Cash Offer at Sheridan Ford! As a way to thank the brave men and women (active, retired and veteran) who have joined our armed forces as well as their families plus police, firefighters, EMT’s and all first-respondents; Ford is providing a $750 Military and First Responders Appreciation Cash offer! 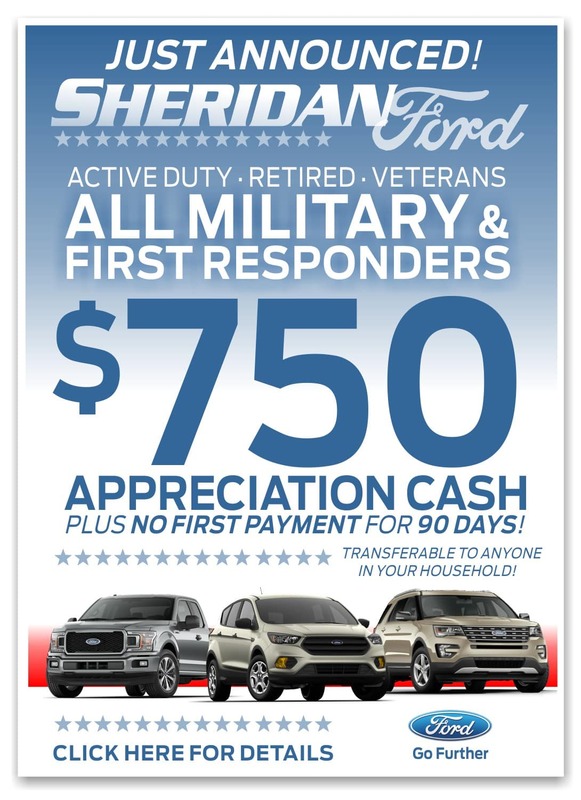 The All Military & First Responders Appreciation $750 Cash incentive is valid along with any and all of Sheridan Ford’s other current incentives and offers. This appreciation offer is available to purchase or lease eligible Ford vehicles from 2017, 2018, and 2019. 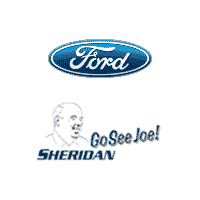 Go see Joe at Sheridan Ford to save on your next Ford today!